Double walled and insulated, it's the Batman Comic Book Art 16 oz. Travel Cup with Straw! This clear acrylic cup can be used for both hot and cold drinks. Each cup includes a twist-off lid and acrylic straw, too! 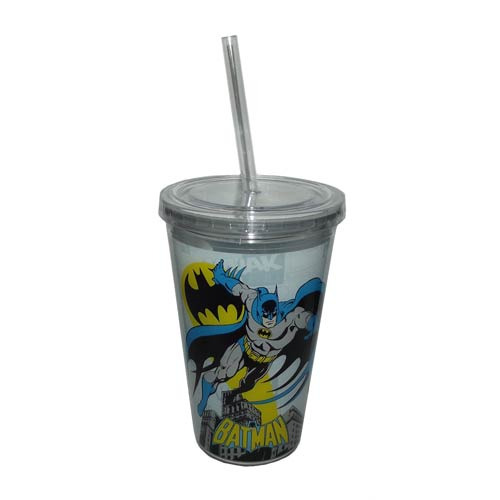 This cup features a Batman logo with an image of the Caped Crusader in an action pose. Hand wash only. Not dishwasher safe. Do not microwave. Ages 14 and up.